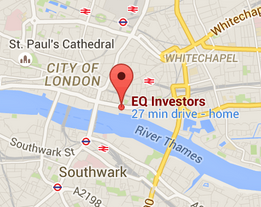 A fund investing predominately in direct commercial property assets in the UK. Aviva Investors has one of the UK’s largest property teams and the Aviva Property Trust is one of the longest standing UK property funds available to retail investors. There is a strong investment process and large supporting team with also a team of sector specialists dedicated to this fund. The team considers which regions and sectors in the UK are likely to perform well and classify properties into four sub sectors. The emphasis being on identifying high quality properties for the managers to consider. The output being a diversified portfolio of high quality properties. We like this fund as the Lead Portfolio manager has a strong track record in managing UK property funds and the fund is well positioned to take advantage of the strong prospects for rental growth in the sector. Finally, it is one of the cheapest funds within the sector. Andrew is a fund manager within the European Retail property fund offerings. Prior to joining Aviva Investors in 2007, Andrew spent five years at Curzon Global Partners as an associate director in the investment strategy and research team. Prior to that he was an associate in the European acquisitions team. Andrew started his career at Donaldsons as a graduate surveyor in the valuation department. He holds a post-graduate diploma in Law from Nottingham Trent University, an MPhil in Real Estate Finance from the University of Cambridge, and an MA in Geography from the University of Oxford. 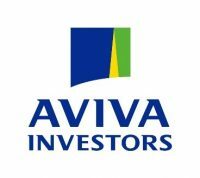 Aviva Investors is a global asset management business that provides solutions for clients including local government, pension funds, wholesale and retail banks, insurance companies, charities and private wealth managers. They are 100% owned by Aviva plc, which was created from the merger of CGU plc and Norwich Union plc in May 2000, one of the UK’s largest insurance companies. It was not until September 2008 that the trading name was changed to Aviva Investors. Aviva Investors currently has approximately £351 billion of assets under management (as at 30 June 2017).